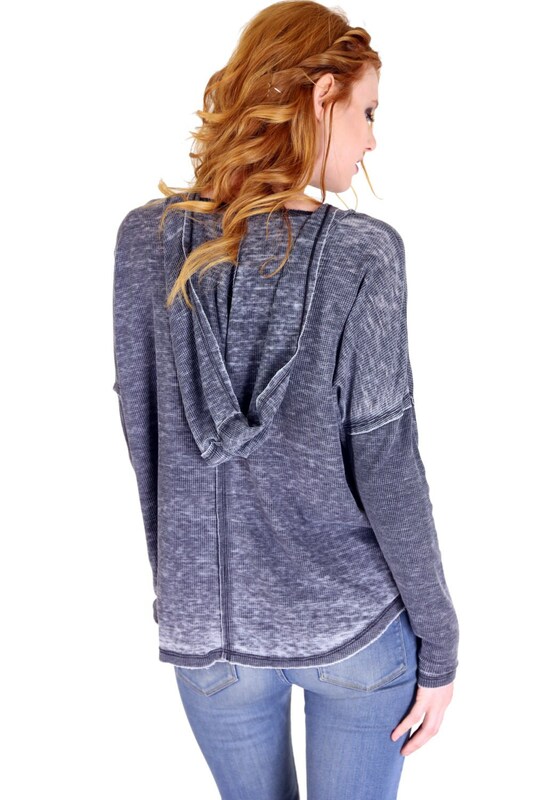 Channel your inner 90s rock goddess in this grunge inspired, thermal hoodie. Made from cotton/poly thermal and burnout washed for a perfectly distressed, worn feel. 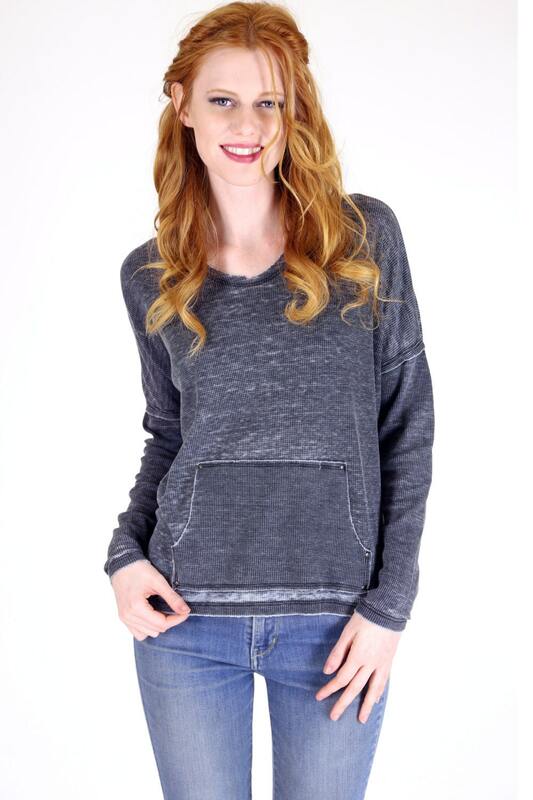 Wears like your favorite vintage tee but so much cuter! Super soft, with raw edges, antique metal detailing, top stitched body and sleeves. A very vintage feel. Model is a Small, 34B bust size.